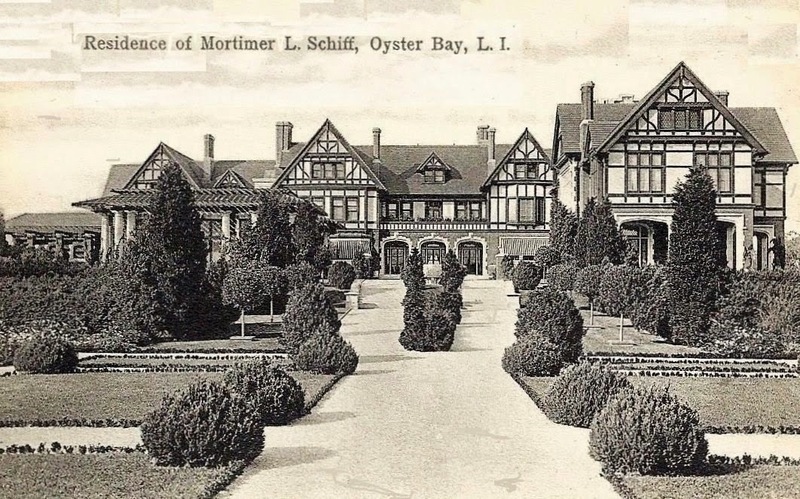 'Northwood', the Mortimer Schiff estate designed by C.P.H. Gilbert c. 1905 in Oyster Bay. Click HERE and HERE for more on 'Northwood'. I like this one better than most of CPH Gilbert's houses. Like this one very much too. That is a one massive and imposing Tudor. The garden site has recently been rebuilt and the original pool house, seen in the left foreground was demolished and replaced.